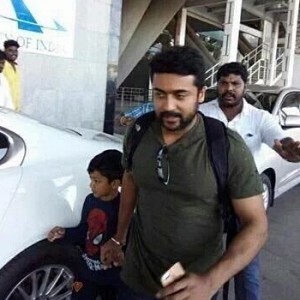 Has Suriya decided on the important date yet? Singam and Puli to clash against each other! Who is the man behind 24's poster? One down for Suriya's 24 ! Anil Kapoor and Suriya to have a legal tiff? Is Suriya taking Vikram's place? Saranya Ponvannan manages to still excite you as a loving mother because every time she plays that role she brings out a uniqueness to it. 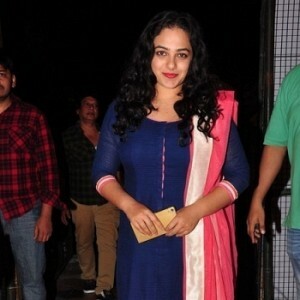 Nithya Menen neatly does her job without showing off the effort or the attempt. Samantha does her usual kind of role, but her character’s contribution to the tale stands vital. Appreciations to other actors like Ajay, Sathyan, Appukutty, Girish Karnad, Mohan Raman and the others who support the process of the narration. Today’s development in technology is more like a genie where it lets a creator wish for anything and it makes it happen. Flawless CG and VFX work is 24’s USP. Cinematographer Tirru proves his mettle yet again by taking complete charge over the camera and its aspects like lighting, framing, colour scheme etc. Prawin Pudi’s work with scissors consciously strives and succeeds in not disturbing the growth of the story. But overall one does get a feeling that the movie could have been trimmer by ten minutes. The action sequences were well choreographed and were shot effectively. 24’s album has already offered itself to our playlist and the visuals are only going to make its stay on the list a longer one. The BGM in typical AR Rahman style sets the mood right for the tale. Choosing a lullaby to establish the lab and introduce the technicians is a mention worthy move. 2D Entertainment & Studio Green should continue engaging in such daring, experimental ventures and widen the scope for storytellers in our industry. Verdict: 24 with all its qualities is a step in the right direction for Tamil cinema. 24 is an upcoming sci-fi film starring Suriya, Samantha and Nithya Menen in lead roles. The music for this film is composed by A.R.Rahman and the film is directed by Vikram Kumar. The most anticipated album of this season begins with the single which has already made waves all over. Benny Dayal’s trendiest vocals are tossed with velvety electric guitar, experimental percussions and Hip-Hop touches. The contrasting nadaswaram in electronic mode is another master stroke by the composer. An impressive fusion experiment for the modern age listener! The album takes an unexpected yet beautiful journey to nostalgia with a sweetest sounding duet from the husky vocals of Arijit Singh and Chinmayi. The delicate guitar strums, mild treble and laid back progression are the biggest assets of this composition. The mild jaltarang and emotional violin solo add to the period feel perfectly! The powerhouse of talent and A.R.Rahman’s favourite Sid Sriram makes his strong presence felt with a folksy jazz rendition. The presentation has the flavours of Reggae and modern Hip-Hop which strikes a balance with the contemporary Tamil folk in brilliant style. The timely usage of riffs and Jazz keys work perfectly well for this stylish number. A paced up classical number arrives from the talented singers Haricharan and Shashaa Tirupati. Though it begins in Carnatic Raaga Hindolam, it oscillates to modern sounds and heavy percussions, but the bigger credit goes to Vairamuthu for fantastic lyrics. The tribal flute makes its refreshing appearance now and then but the oscillation between two contrasting genres of music could have been handled better. An unplugged lullaby from the melodious voice of Shaktisree Gopalan slows down things a bit in grace and style. Instead of using a folk style tune, here is a Country styled number with acoustic guitar ably following the lead vocals. Madan Karky’s lyrics strike the point with simple yet effective usage of terms and depiction of mother’s love. A kaleidoscope like instrumental track paves the way for the finale in the so called ARR style. Along with religious chants, the track attempts to strike a balance between Western symphony and rustic instruments as well. More or less, the track builds up necessary tension and anxiety in terms of musical brilliance. Suriya's ambitious sci-fi 24, will have its release this week and no wonder the bookings have started and going like hot cakes. Directed by the very talented Vikram K Kumar, this time travel saga also stars Samantha and Nithya Menen, with music by AR Rahman and visuals by Thiru. Talking excitedly about the movie to Behindwoods, Suriya said that he feels our industry must make more Disney-like films and this film has the potential to completely entertain a toddler to an elder. Vikram K Kumar was equally excited about the film and Suriya, of course. He said, "Suriya sir is not just a gifted actor. Yes, he was born with a lot of talent but he later developed a lot of skills to become what he is now. Suriya sir used to insist that we don't talk a lot about Athreya as Kamal sir has done numerous characters like this and this one is too small. But for me, this is the first time a character penned by me would take so much time to put on the make-up (the process of transformation). We were shooting in the peak of summer and with all that make-up on, it was pure hard work. At the same time, to switch character post lunch and portray another character was a task that he carried out with ease. As a filmmaker, my role was to just sit by the monitor and enjoy his performance! I hope, in future, when somebody asks him to list the top 5 films of his career, 24 will win a spot in that list!" Don't miss 24 this Friday. "Any mistake in removing the makeup would have resulted in Suriya's skin peeling off"
"I am craving to work with Mani Ratnam sir once again"
"We are among the first few people who get to watch an entire movie"
"When somebody asks Suriya to list the top 5 films of his career, 24 will win a spot in that list!" 24 Suriya's Exclusive fun chat - "Aaniyae Pudungavendam"
24 (aka) 24 The Movie is a Tamil movie with production by 2D Entertainment, direction by Vikram K Kumar, cinematography by Tirru, editing by Prawin Pudi. The cast of 24 (aka) 24 The Movie includes Nithya Menen, Samantha, Saranya Ponvannan, Suriya..